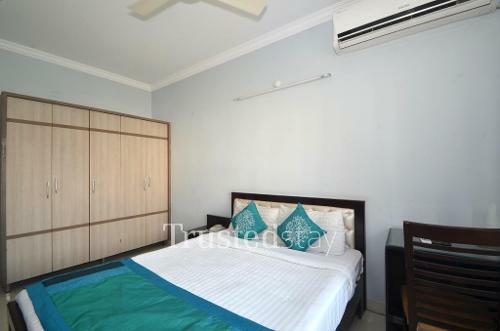 This service apartment in Gachibowli is situated close to Radisson Hyderabad & DLF Cyber City Gachibowli, about 3.5 kms from HITEC Cyber City, about 11.5 kms from L.V. Prasad Eye Institute, about 15 kms from Nampally Railway Station and about 32 kms from Rajiv Gandhi International Airport, Shamshabad. 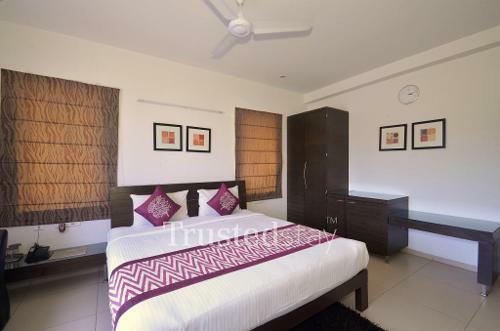 This is a stand alone building offers a total 15 rooms, 3*5 BH units in 1st, 2nd & 3rd floor, all rooms are fully furnished with split AC, LCD TV and attached bath room, one can book either a room or a complete independent unit depending on the requirement. Our in house kitchen is manned by our cook, serves break fast and prepares meals as per the guest request, Ideal for Corporate or family stay be it short or long stay. Hyderabad is a major centre for the tech industry, and home to many historical sites and famous restaurants. The leisure and business travellers have multiple stay options - service apartments, star hotels, business class hotels and homestays. 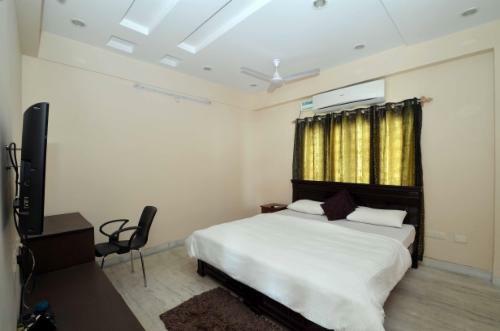 At TrustedStay service apartments expect comfort and convenience. TrustedStay service apartments are located in well-connected areas with access to transport facilities, ATMs, hospitals and public transport. Amenities range from complimentary internet and breakfasts with an everyday changing menu, a fully functional kitchen or the option to order from a central kitchen. TrustedStay service apartments have a fully furnished living area, bedroom and kitchen for short and extended stays. 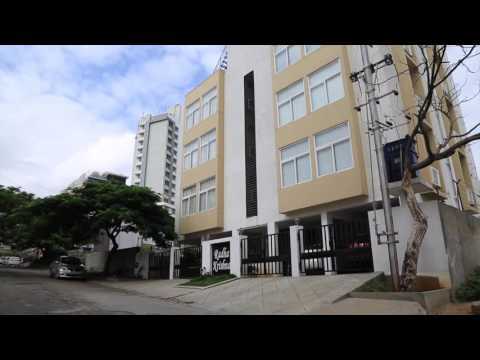 Come experience service apartments, exactly as you expect!